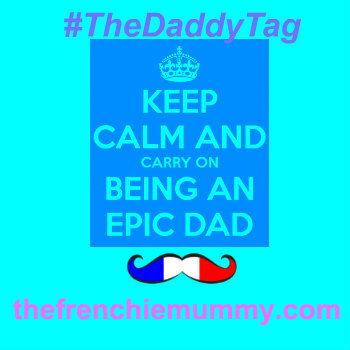 When Frenchie Mummy pretends she can be a philosopher! Or 1 quote discussed. Stop! Big announcement before you read this post. We currently have two fabulous competitions on our blog! Make sure you enter them! You have a chance to win a Heavenly Tasty Organics goodie box here and a superb Brightplaybox here! You are allowed to enter both the giveaways… The more the merrier… We apologise for this shameless promotion… Back to the normal post! 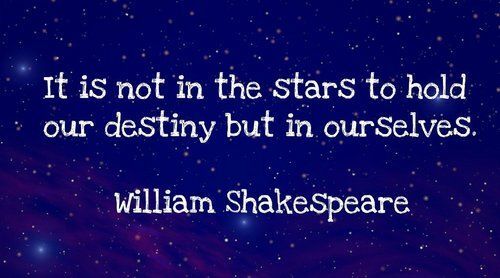 Do you know this famous quote by Shakespeare ‘It is not in the stars to hold our destiny but in ourselves’? I came across it today when I was spending (or wasting?) my time on the internet. For once, Baba is asleep quite early without a massive fight. So I am finding myself browsing on the laptop while Grumpy Boyfriend is working. I have so much to do. 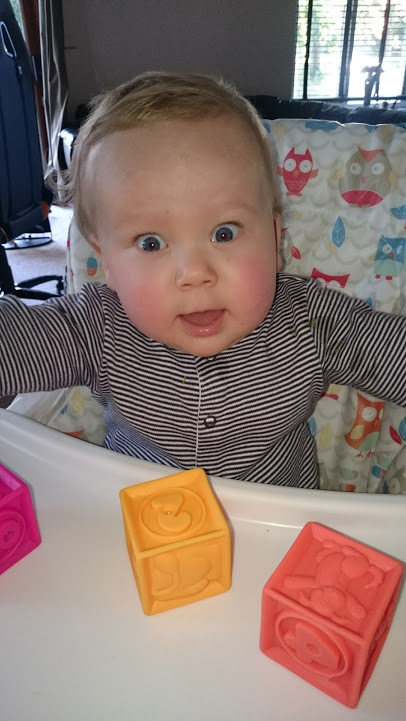 I need to answer some emails, schedule some posts, plan some tweets… But here we are, I am faffing about online when I always complain that Baba is so demanding at times that I can’t get on with my blog. Now I have the time and I spend it reading idiotic things on the web. I am just procrastinating. Who is the little monkey now? Frenchie Mummy! Wasting my time? Maybe not. So I bumped into this quote. Well, it bumped into me really… It’s about Fate and how you control yours. Do you fully agree with it? I actually kind of disagree with Shakespeare. It’s true that to some extent I determined my destiny. I have always wanted to be a teacher. I studied for it and here go, it’s done. I have always wanted to have kids and now it’s done with my wonderful bundle of Joy, Baba le roi. So anyway, are we in control of our destiny or not? I like to think that I am, but truly, sometimes the stars are taking care of yourself. I don’t know if it’s a god or something else. I won’t even have this debate. This is not the purpose of this post and I am too tired to get into such a complex question. Remember? A mummy brain is well tired passed a certain point. Sometimes, Fate decides for you and that’s it. Fate decided for me when I arrived in the UK 8 years ago. It was just supposed to be for a year. But Destiny put me into a certain school to work. A place I loved so much that I made the decision to stay longer. Destiny decided for me to live in the South-East of London. I could have been in Norfolk or like somewhere isolated and wild. The nightmare for the city girl I have always been. It also decided to help me find a lovely house share in a green and nice area. I didn’t end up renting a tiny flat with 5 other workers! Writing those lines, I realise how lucky I have been to some extent. Don’t get me wrong. I love being in control and therefore would love to think that I am the master of my life. And I showed earlier that I am. But je pense aussi that up there, somewhere, there is something or someone, mon ange-gardien who is taking care of me. What do you make of this quote? 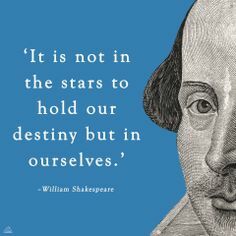 Do you agree with Shakespeare? Or do you think that something is holding a little tiny bit of power over our existence? I would love to hear from you. Previous Previous post: Grumpy Boyfriend saved my life!